Piping Rock provided me with a gift code so that I could shop at their store and write a review about my shopping experience. All opinions expressed here are 100% mine. In my house, my husband is in charge of vitamins and supplements. He does the research, and he makes informed choices about what we should be taking. The extent of my participation? Taking whatever pills he lays out on the bathroom counter for me. So when Piping Rock asked me to do some online shopping for vitamins and supplements and to share my shopping experience with you, I figured I had better do some research first. Armed with my handy lists, I sat down to do some online shopping. My first visit to Piping Rock was via their mobile site, which I originally found to be a bit confusing. But as I explored, I realized that it was actually quite easy to navigate. Oddly enough, I think I was confused by its simplicity, which sounds really silly as I read back over what I just wrote. Let me explain. 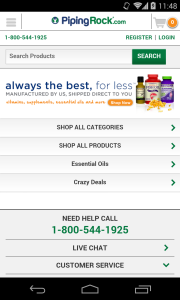 The mobile site consists primarily of a search tool and 4 drop-down menus: Shop All Categories, Shop All Products, Essential Oils, and Crazy Deals. 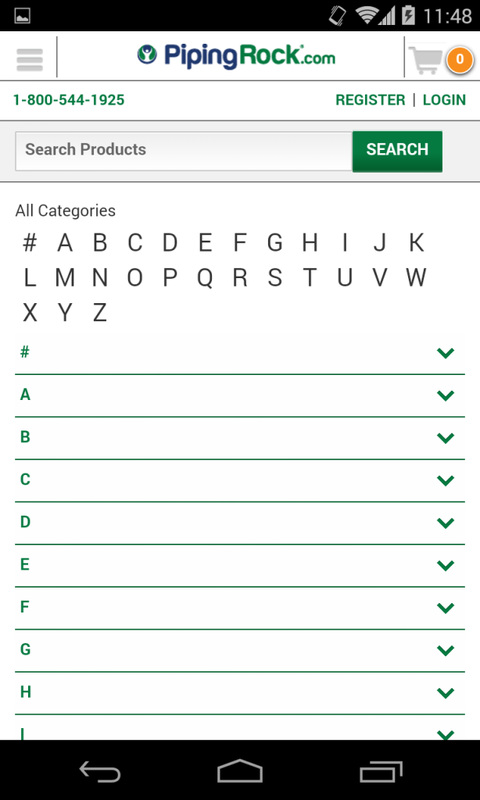 When you select Shop All Categories or Shop All Products, you are brought to a screen with nothing but a list of the letters of the alphabet. The first time I saw this screen, I thought perhaps the site was down. 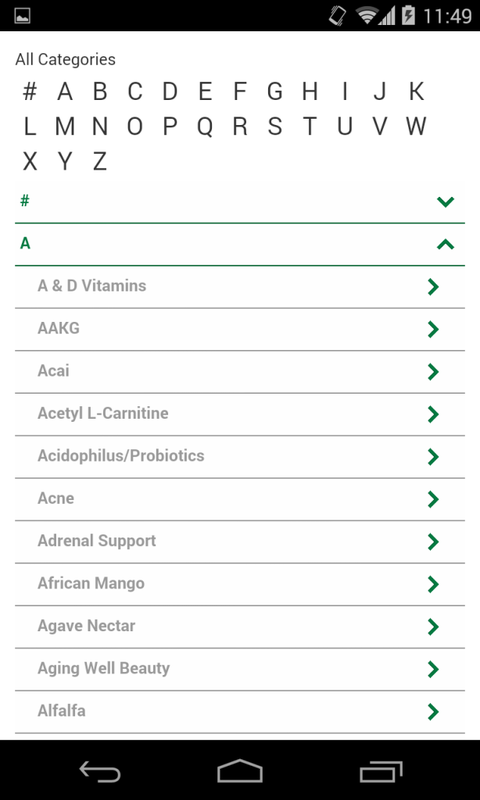 But then I clicked on the letter A, and a HUGE list of options appeared – everything from A & D Vitamins to Avena Sativa. The letter A alone has 26 product categories to choose from. The site works the same way with Shop All Products – and Piping Rock has about 60 product types that start with the letter A. Good thing I had those lists, right? Piping Rock’s regular site is similar to the mobile one, only with more graphics and visual appeal. You can browse by category, product, or brand, and you can also search for a specific item by name. There’s a menu on the left side of the screen with some of the more common search options, but there are hundreds of categories available for browsing. I searched for every item on each of my 3 lists, as well as some other items that were recommended to me, and I found EVERY SINGLE ONE on Piping Rock – even some that seemed pretty obscure to me. Many of the products came in multiple sizes – I really liked having multiple options for size and price. All of the prices were extremely competitive, especially the “Crazy Deals.” For example, I purchased a bottle of 240 Calcium + Magnesium Softgels. The list price was $6.99, but they were on sale for $1.99 – that’s a 72% savings! Because of the huge selection, deciding what to purchase was a little difficult. But the actual purchasing part was super simple. I created an account, entered my billing and shipping info, and click…order placed. I placed my order on August 9 (a Saturday), it shipped via UPS on August 13, and I received my order on August 18. Easy, fast, and accurate. What I liked about shopping at Piping Rock: Huge selection, great prices (especially the “Crazy Deals”), site is easy to navigate, simple check-out, and prompt shipping. What could be improved about the shopping experience: Nothing – the only difficulty I had was deciding what to purchase. The selection is huge and the options are endless, which was a little daunting. But it’s actually a great thing, provided that you at least have a general idea what you’re searching for. Bonus: In addition to great prices, shipping is only $3.95 and is free on orders of $40+. And for a limited time, select items are Buy One Get One Free – so be sure to check those out! 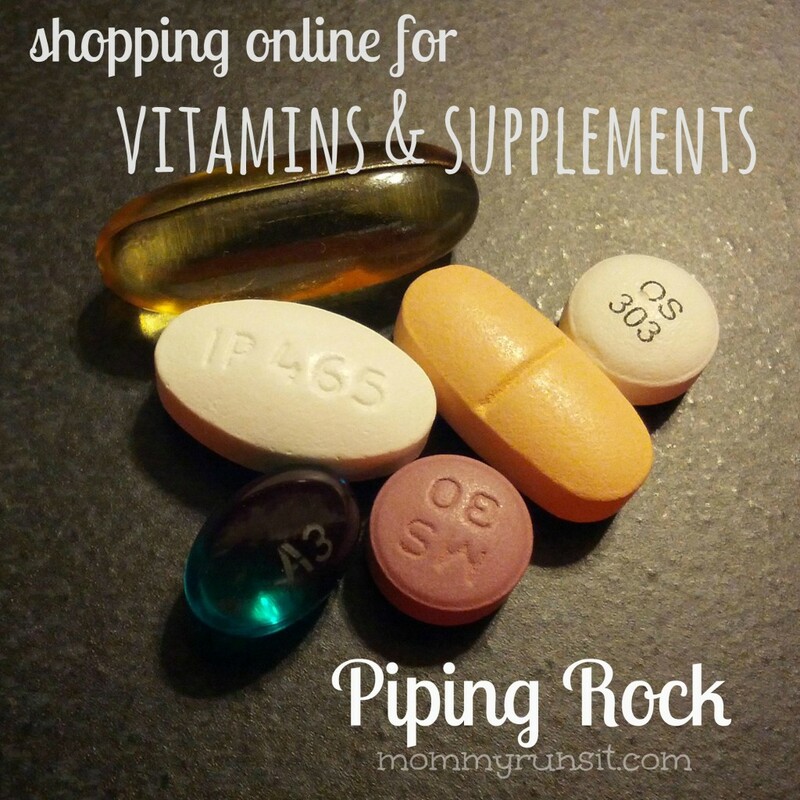 Give Piping Rock vitamins a try – you won’t be disappointed. To learn more, visit Piping Rock online, and follow them on Facebook, Twitter, Pinterest, and Instagram. Hi, I’d like if their productis were good for you. I bought sometings that, but I read their samples are false, anda I’m looking for more informations about before using. Thank you so much! haha I am the exact same way with my ball and chain. Just tell me what is good for me and hand it over! It’s just easier that way, right? 🙂 They wouldn’t lead us astray.